TumbleOn is the best Tumblr App for iPhone and iPad. See many of our app features in action on our Videos page. This app features great ways to view great photos. Quickly swipe through high-res pictures from your favorite blogs. Tap a photo to view larger, and swipe to view more while in full-screen mode. View more than 100 great photo blogs we recommend by browsing the Explore “Staff Picks” section. Discover more great blogs by analyzing a blog’s posts to find other great blogs. Find new blogs visually, with the “Explore” feature which previews 4 or 5 photos. View your Tumblr dashboard, likes, and your own blogs by logging in with your Tumblr account and viewing the “My Stuff” Explore section. Easily access your favorite Tumblr blogs by Bookmarking them in TumbleOn, just like you’d bookmark a webpage in your browser. Easily see which posts are new since the last time you viewed a blog. 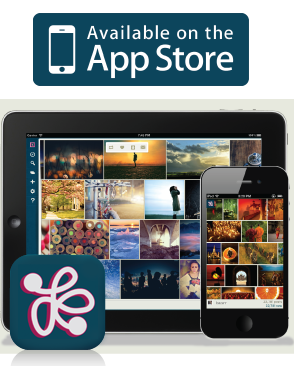 This app features great ways to share your photos. Share images by reblogging, liking, emailing, or saving them to your device. This app features even more great things. View captions for posts in Safari or TumbleOn. Multi-account support, with following and follower support. Password lock screen protects your privacy. Ready to get the app? Click to download for iPad or iPhone. This app makes it so easy to browse your dashboard" - !glg!